Regularly scheduled maintenance on a vehicle should never come as a surprise. Oil changes, tire rotations, transmission flushes – these are all important and unavoidable aspects to vehicle ownership. One of the most common and least expensive vehicle maintenance concerns is replacing the battery on a car. Most car batteries last on average three to five years, and are imperative to every vehicle’s proper functioning. In fact, no car, truck, or SUV will even start without a working car battery. Despite this being a relatively easy and inexpensive fix, there are tricks to help get more life out of car batteries. Albany, NY residents can save money and maintain the health of their vehicles by checking out these helpful tips from DePaula Chevrolet. The car battery may not be the most glamorous part in your car, but it does help give life to many components of your vehicle that bring you entertainment, function, and safety. The battery underneath the hood of your car is vital to your everyday life, and most drivers aren’t even sure where it’s located. Before we talk about ways to help prolong the life of your car battery, let’s take a look at some basic facts regarding what the battery does, and how it works. The battery underneath the hood of your car, truck, or SUV is likely a lead acid battery. These batteries are the most common, dependable, and oldest reusable batteries available in the world. They typically go through a three part life cycle of formatting, peak, and decline. Even in the decline phase, a car battery can be used for quite a while, but will require more frequent checks to ensure a maximum lifespan. Every car battery has a “calendar life” that determines when the battery is no longer operational. Most car batteries never reach the end of their calendar life, due to poor maintenance and driving habits. 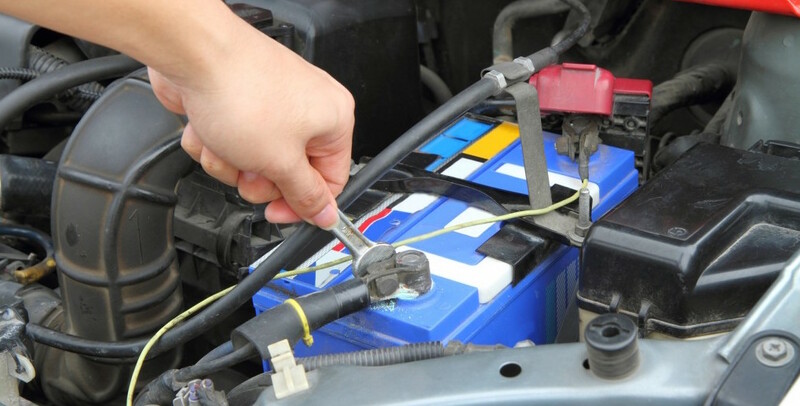 Fortunately, there are easy steps that drivers can take to ensure that the life of their car battery is used in full. Here at the DePaula Chevrolet service center, we work hard to bring you information that is beneficial in maintaining your vehicle. Even though replacing a car battery is a minor repair, we realize that by helping drivers take better care of their batteries, we are helping them save their hard earned money for more important things. You don’t need to be an expert mechanic to be able to take care of your car and it’s important components. While some parts of a car require the expert eye of a professional, the battery is one part of your vehicle that you can easily familiarize yourself with. By following these simple steps, you will be able to ensure the proper functioning of your car battery for the longest possible time. First Thing is First – Before you can properly care for your battery, you need to know where it is. Pop the hood of your car, and look for a large box inside of a plastic shell. There will be terminals on the top with caps – this is your battery. If you are unsure of where your battery is located, refer to your vehicle’s owner’s manual. Every car should have an owner’s manual in the glove compartment, but if you are unable to physically locate it, you should be able to access it online. Check Water Levels – One of the most important and easiest battery checks you can perform is to test the water level every three months. Pull the fill caps of the battery up in order to check fluid. When needed, refill with distilled water using a funnel, but be careful not to overfill. Not all car batteries require fluid, so refer to your owner’s manual prior to adding water to your battery system. Keep Terminals Clean – Twice a year, remove the connectors on the battery terminal and clean them with a wire brush. A simple mix of baking soda and distilled water should be enough to gently scrub away any acid buildup and debris. Remember to reapply connectors to the battery terminal before closing the hood. Apply Grease – Every three months or so, coat the battery with grease for protection against rust and corrosion. Be sure to use a grease meant for high temperatures, and when in doubt, check with technicians at DePaula Chevrolet for advice on which brand to use. Keep Up with Engine Tune-Ups – Regularly scheduled maintenance, such as oil changes, can be the first line of defense against potential problems with your vehicle. At DePaula Chevrolet, we perform a multi-point inspection at each maintenance appointment, which includes checking the voltage on your battery. Whether you need to have the voltage on your battery checked, or just need further advice on how to best maintain your car’s battery, DePaula Chevrolet can help. Our service center is expertly staffed with friendly, knowledgeable, and helpful technicians. No question is a bad one, and no problem is too small. If you don’t have time to come in to talk, give us a call. We will try our best to accommodate you over the phone, and will find the answer to your question as efficiently as possible. If we can’t diagnose an issue over the phone, we can easily schedule a time for you to bring your vehicle in to our state of the art facility. Other service centers write off customers over the phone, but here at DePaula Chevy, we take your calls seriously. If you are a new customer, or have been frequenting our service center for years, we will go out of our way to help. We have car batteries in stock, ready to install. If you find yourself stranded with a dead car battery, give us a call. We can help get your new battery installed, or diagnose other issues your vehicle may be experiencing. No matter what your needs are – we can help!